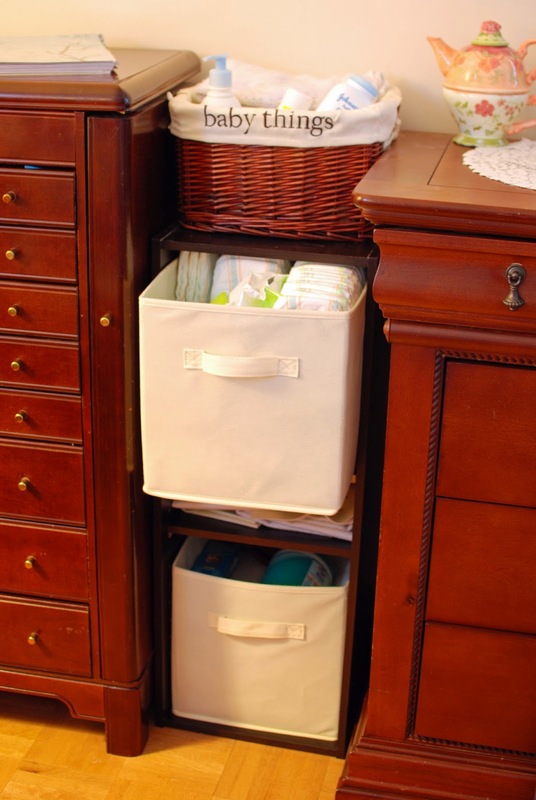 Nothing says simple storage options to me like cubbies. They're everywhere...in my home, that is! These are the cubbies at my front door. My home doesn't have a mud room and the closets are a bit small, so we keep the kids' coats (and gloves and hats and scarves) in cubbies. Each of the four older kids have their own cubby. I have yet to decide where to put the baby's little outdoor duds. 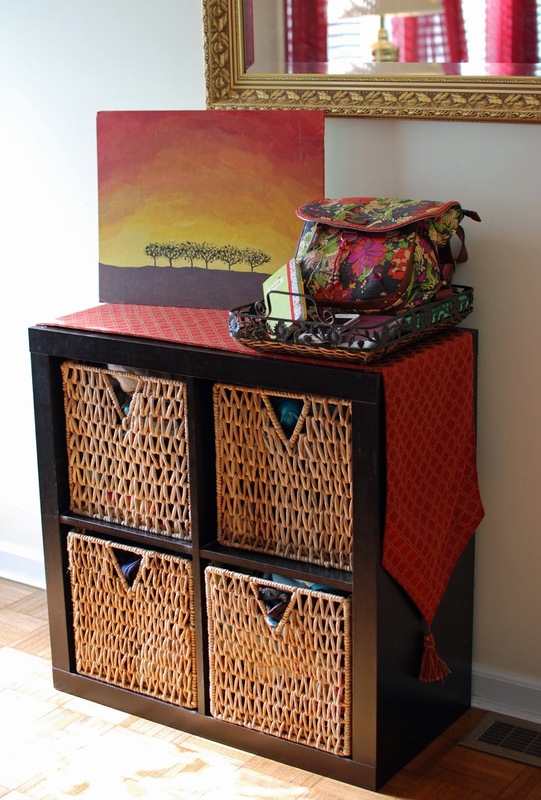 I keep a basket on top for my purse and keys. Here are the cubbies I use for clean laundry. Generally, the I wash all of the children's clothes on Monday and they fold and put away their things on Tuesday. Sometimes, however, some of their things get washed at other times. 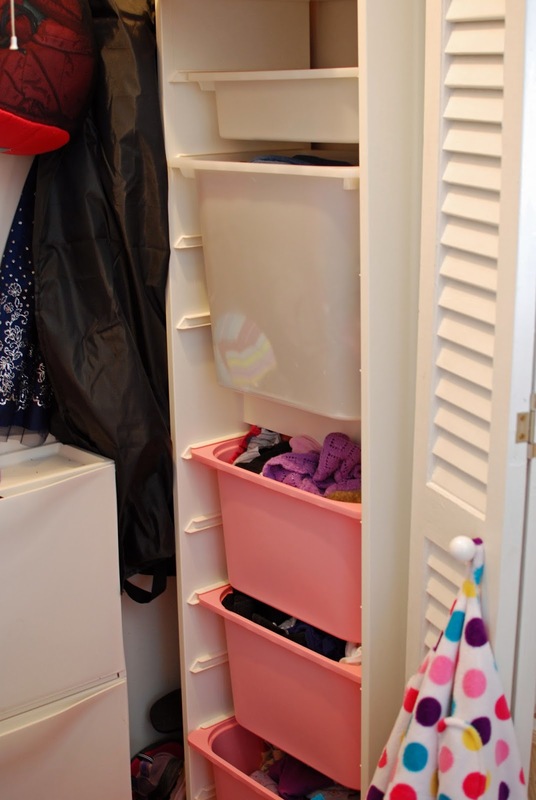 To simplify getting stray clothing items to the children, I just put them in their laundry cubbies. on Tuesdays, when they fold their clothes, they also know to check their laundry cubbies. Yes, the tiny girl has a laundry cubby (I actually store her bibs there as my laundry area is closer to her high chair than her clothes drawers). Speaking of the tiny girl, I have cubbies in my bedroom for her diapers and other diaper-changing necessities. We converted the changing table to a dresser for the big girls years ago, so we just change diapers on our (appropriately covered) bed. In the kids' rooms, we have... cubbies! A few years ago, I decided that I was through spending (what seemed like) hours putting little bitty clothes on little bitty hangers. Ugh! All the kids' clothes are folded now. I do hang my girls' church dresses; otherwise, everything is folded. Not only do I not have to contend with little bitty hangers, but the kids are perfectly capable of folding their own laundry and putting it away. 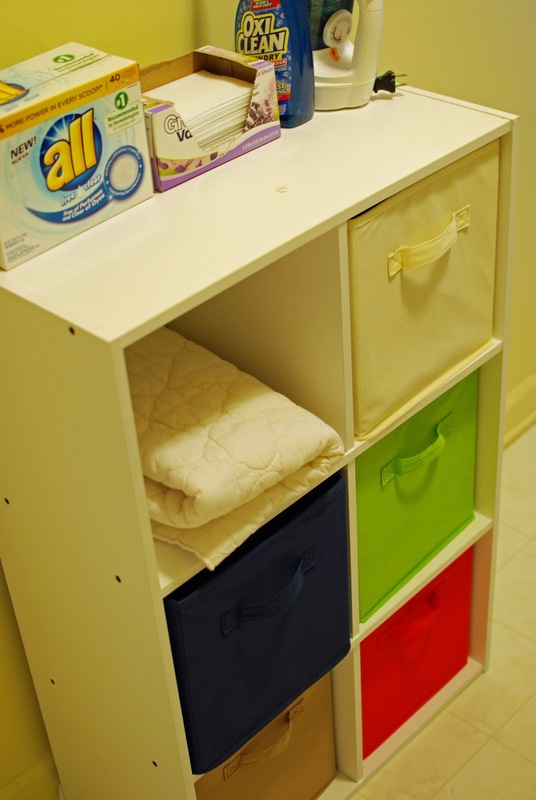 By the way, the cubbies in the closets are the IKEA Trofast system. 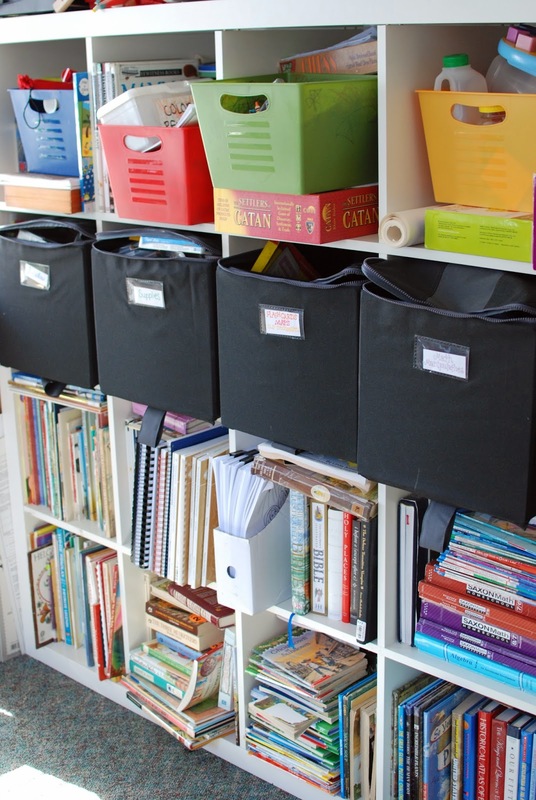 Finally, no homeschooling room would be complete without supplies cubbies. Here are mine - excuse the mess. We use our homeschool cubbies a lot!